Consumers have become less fond of going out and buying goods from traditional brick-and-mortar retailers over the years. Even Black Friday doesn’t hold the appeal it once did; as we previously reported, a recent survey found that 35% of consumers actually profess to hate the holiday designed to deliver deals. Online shopping is the method of choice for a growing number of consumers, and retailers like PetSmart are doing all they can to increase their e-commerce. This week, PetSmart announced that it will be launching a new mobile-friendly website offering same-day and scheduled deliveries. 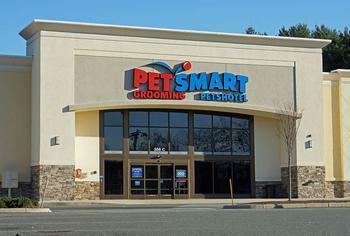 Customers who shop for pet staples on PetSmart.com will be able to sign up for subscriptions, which will make it possible to schedule doorstep deliveries of frequently used pet products. Those who use the “auto-ship” option will be rewarded with a 5% discount and free shipping, but the convenience of receiving same-day shipping will cost $7.99. Pet parents can also have items shipped to their local PetSmart store. PetSmart’s improved ship-to-store option now shows in-store product availability. If a particular product isn’t in-store, PetSmart will ship it to your home for free. “Our omnichannel strategy is aimed at giving pet parents options tailored to their needs and desires,” said Eran Cohen, PetSmart’s chief customer experience officer, in a statement. “We look forward to seeing their response to the new site with its new user experience and commerce-meets-content approach, as well as to our expanded and convenient home delivery options, which capitalize on our extensive store network for same-day and scheduled delivery,” he added. This isn’t PetSmart’s first foray into the world of e-commerce and same-day shipping. The company has been participating in Google’s same-day delivery service, Google Express. The new shipping options are fueled by Deliv. Currently, the site’s new same-day and scheduled delivery options are available in Los Angeles, Orange County, San Francisco, San Jose, Las Vegas, Atlanta, Miami, Seattle and Chicago. By mid-November, the services will be available to shoppers in Dallas, Houston, Philadelphia, Boston, New York City, Yonkers, Northern New Jersey and Washington, D.C.
Are consumers suffering from Black Friday burnout?